A plastic clothes hanger has been swinging from the crease between stall walls in the men's restroom of the dining hall for more than a month now. 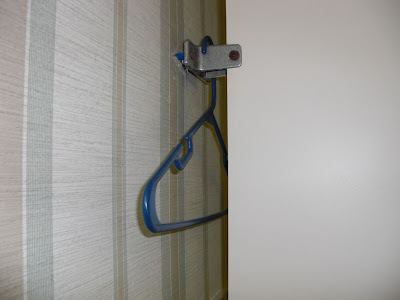 The phantom hanger has nary been touched in the time it's hung out in the bathroom, causing rampant suspicion among campus bloggers. Where did it come from? Why has it stayed among us so long? Is it planning an attack?